Having been involved in the hospitality industry, with Elephant Plains Game Lodge for the past 19 years, we have become known for our unpretentious hospitality and warm, friendly atmosphere. Little Rock Guesthouse, being situated in the unspoilt, rugged nature of the Garden Route, lends itself to this same hearty, home-away-from-home feeling. What better way to start your day than with the smell of freshly brewed coffee, home-made rusks and unspoiled oceanic views? Step over the street and you are on the beach, or go on an adventure with various activities in the area. The sound of waves, crashing just outside your bedroom window, will lull you off to a deep night’s sleep. 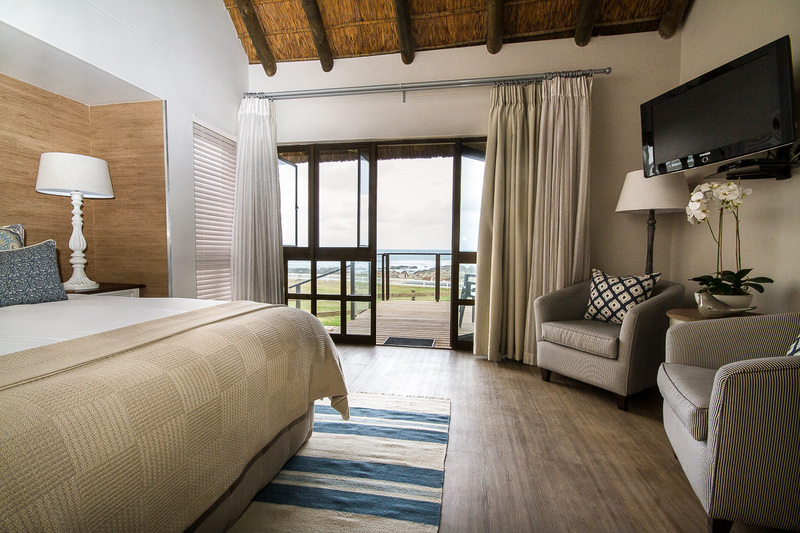 The guesthouse will ultimately sleep 14 guests in total, with seven en-suite bedrooms, six of which is currently in use. All of the rooms have sea views, either from private viewing decks or balconies. The rooms include the option of a king size, or twin beds. They also include a mini bar and tea / coffee station, electronic safe, a flat screen TV with a DSTV hospitality bouquet, a fan, as well as bathroom amenities. Two of the bedrooms also include sleeper couches for smaller children. An extra single bed can be added in some of the rooms, if space permits. Little Rock currently operates as a B&B. Breakfast consists of freshly baked pastries, served together with continental options and a hot breakfast, ordered from the kitchen. We are also offering guests the option of “braai” packages for the evenings. These packages include meat options, a side dish selection, as well as a garden salad. Utensils, crockery, cutlery and spices are provided. 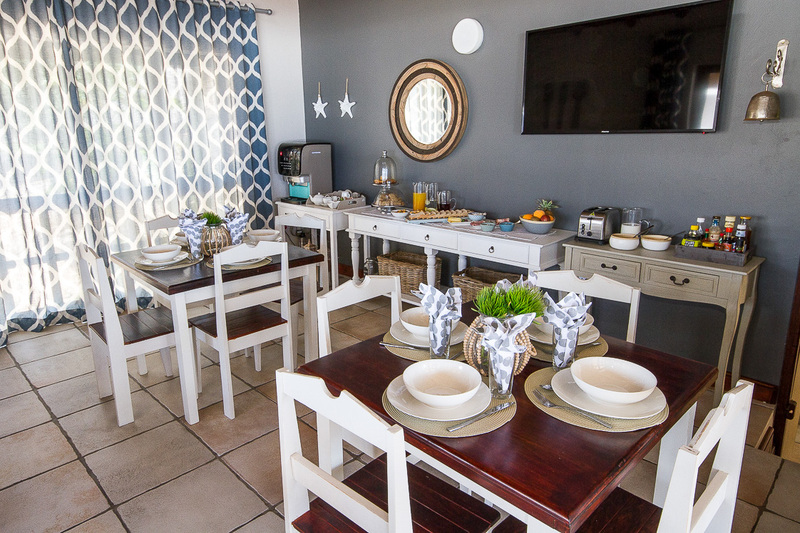 Guests have a choice of indoor or outdoor braai facilities, weather permitting. Other home-made dinner options would be introduced over time. 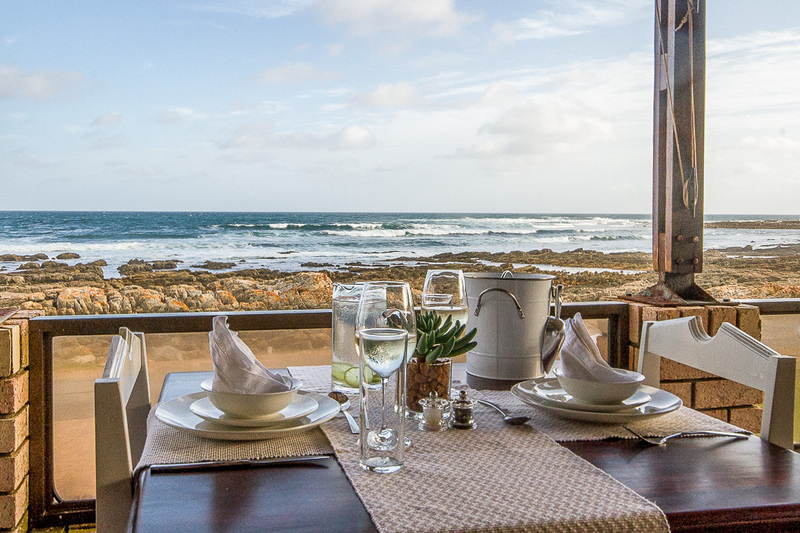 Jongensfontein also has a restaurant and Stilbaai has a wide selection of eateries, to suit every taste. We are planning to start serving light lunches, as well as catering for small, intimate functions in the near future. Jongensfontein and surrounds lend itself to endless opportunities for nature lovers. Some of the activities include rock fishing, deep sea fishing, swimming, surfing, trails and hikes, as well as boat cruises on the Gamka River. Dolphin enthusiasts will spend hours watching the surf for the all-familiar sight of dolphins playing in the waves. And don’t forget whale watching season from July – November!